Cabinet doors are the most visible part of your cabinetry and key factors in defining your style and bringing your personality to life. With this in mind, KraftMaid offers many unique door styles, finishes, and wood types for you to choose from. Norbord OSB offers the quality, value and solutions that meet the needs of today's market place. 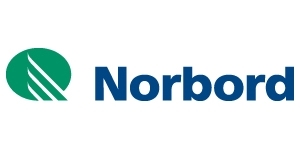 Norbord brands build value into every project. Energy efficiency, reducing waste, material and labor costs for builders is our focus. Solutions with real value! High quality fasteners provide consistent and reliable performance in concrete, block, masonry, and steel applications. Choosing the correct fastener for the job will assure professional results. Ramset has many tools, fasteners, and accessories to help Drive Jobsite Speed for all of your projects. Innovative and functional, Silestone is the leader in quartz surfaces and is exported to over 80 countries. Thanks to the extensive network of Cosentino, the brand has become the sales leader in kitchen and bath surfaces, creating a strong brand with an undeniable global reputation. Patented in 1976 by ITW Buildex, the Tapcon anchor is the original masonry fastener that revolutionized the fastener industry. The name Tapcon comes from its unique ability to TAP its threads into CONcrete. No other product in the industry anchors to concrete, block and brick with the ease and power of a Tapcon anchor. FastenMaster is a division of OMG, Inc. headquartered in Agawam, Massachusetts. Our company was founded in 1981. Top Knobs was founded in 1994 and began its remarkable climb to leadership in the North American decorative hardware industry. Today Top Knobs is the #1 manufacturer of decorative hardware for the professional market. We have the greatest selection of products, the largest number of showrooms, and the top sales volume. Top Knobs products are prominently displayed in leading kitchen, bath and decorative hardware showrooms in North America.